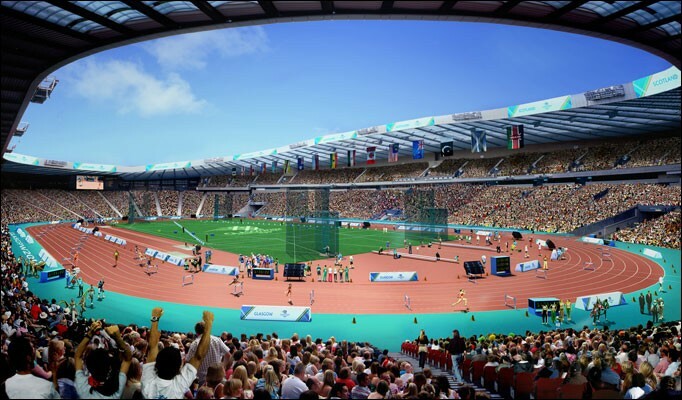 British Athletics and Sainsbury has confirmed that the London leg of the 2014 IAAF Diamond League meeting will now take place at the Hampden Park in Glasgow, Scotland on July 11-12, 2014. The two-day meet, which will become known as the Sainsbury’s Glasgow Grand Prix and supported by Sainsbury’s, EventScotland and Glasgow City Council, will be held two weeks before the city hosts the Commonwealth Games. It is the second move in as many years for the event, as last year it moved from its traditional home at Crystal Palace to the London 2012 Olympic Stadium. Tara Hewitt, Head of Sponsorship at Sainsbury’s said: "As part of our new long-term relationship with British Athletics we’re delighted that the 2014 IAAF Diamond League is coming to Glasgow and will be known as the Sainsbury’s Glasgow Grand Prix. "Just last month at the Glasgow International Match we saw the passion and enthusiasm of the Scottish crowd for athletics, and look forward to seeing this again in July and being part of such a momentous summer of athletics in Scotland."